Podcasting, originally called "audioblogging" began in the 1980s but didn't really hit it's stride until 2005 when Apple added the ability to download podcasts to iTunes. In the early 2010s, it seemed like podcasting might be fizzling out into a thing of the past. A lot of us (myself included) claimed it was dead. But we were wrong. Podcasting is seeing a resurgence in popularity (thanks in large part to the success of Serial) and is bigger than it's ever been. And I, for one, am totally on the podcasting bandwagon. 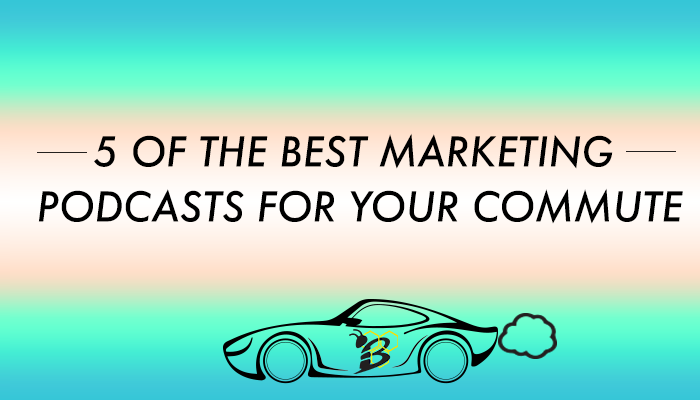 There are tons of genres of podcasts out there but, being the marketing junkies we are at HIVE, I wanted to introduce you to some of the best marketing podcasts. The list below contains hours of marketing news and insights that can serve to help you become a better marketer. And most of these shows have commute length episodes perfect for filling your morning drive.